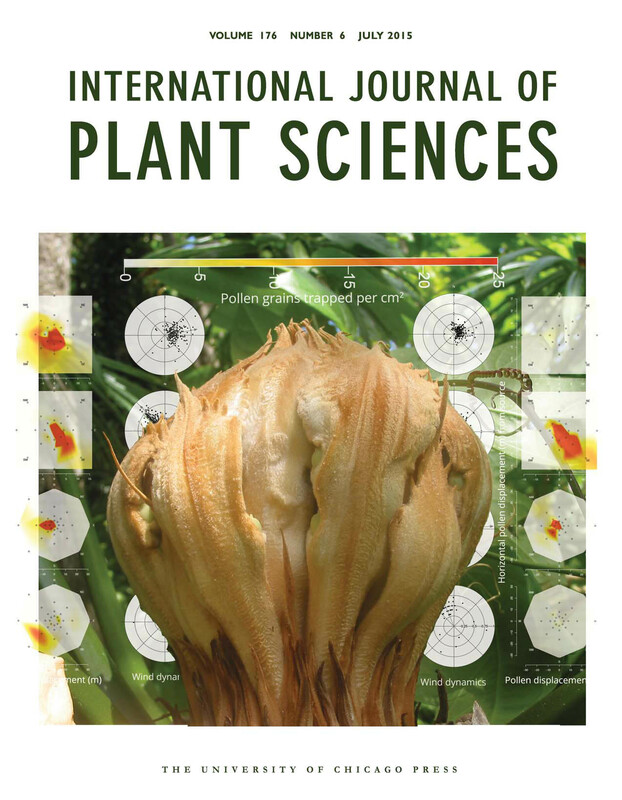 Research from the University of Guam (UOG) has been published in this month’s issue of the International Journal of Plant Sciences. The research was conducted within the Western Pacific Tropical Research Center (WPTRC) at the University of Guam, and focused on determining the ability of Guam’s trade winds to aid in the pollination of the native fadang tree. Fadang trees belong to an important group of plants called cycads, and the group exhibits many primitive and unique traits that are of interest to scientists. The publishing team consisted of Hamada, adjunct professor Irene Terry, and professor Thomas Marler. The research was part of Hamada’s thesis as a graduate student in the University of Guam’s Environmental Science program. Fadang belong to a small group of cycad species that exploit the ability to produce seeds that float as a means of colonizing new islands with their seeds. The process of pollination requires the movement of pollen from male parts to female parts of a plant, and is required by plants in order to make seeds and reproduce. All cycad species that have been extensively studied are known to use insects to move their pollen from plant to plant. The UOG team has learned that a small native moth species is useful for this purpose in Yap, Guam, and Rota. “Our interest in taking a more extensive look at the role of wind for pollination of fadang rests in the fact that isolated islands that receive new seeds of the oceanic island cycad species would not have the native insect pollinators,” said Hamada. As a result, the initial plants that colonize an isolated island would not be able to reproduce if they could not exploit some other means of pollination. Hamada’s extensive experimental protocols were set up and monitored throughout diverse habitats in Guam. Several years of research by the team has confirmed that fadang trees rely on both insects and wind for pollination. Hamada’s results have shown that the role of wind in pollination is stronger for Guam’s fadang than for any other cycad species studied to date. “This experimental work at the WPTRC was an integral part of my graduate studies at UOG, and prepared me well for the start of my career in environmental resources management,” said Hamada. The team selected the International Journal of Plant Sciences for dissemination of this unique Guam-based research because of its world-wide readership and importance. The journal has been in production for 140 years. Hamada T, Terry L.I., Marler T.E. : Habitats, Trade Winds, and Pollination of the Endangered Cycas micronesica: Is There a Role for Wind as Pollen Vector on the Island of Guam?. In: International Journal of Plant Sciences, 176 (6), pp. pp. 525-543, 2015, ISSN: 10585893.